Are your meetings constantly running long? Do you feel like your team is getting off in the weeds and not focusing on the important points? There are lots of tips and tricks out there for running effective meetings (for example having a great agenda and playing design thinking games). 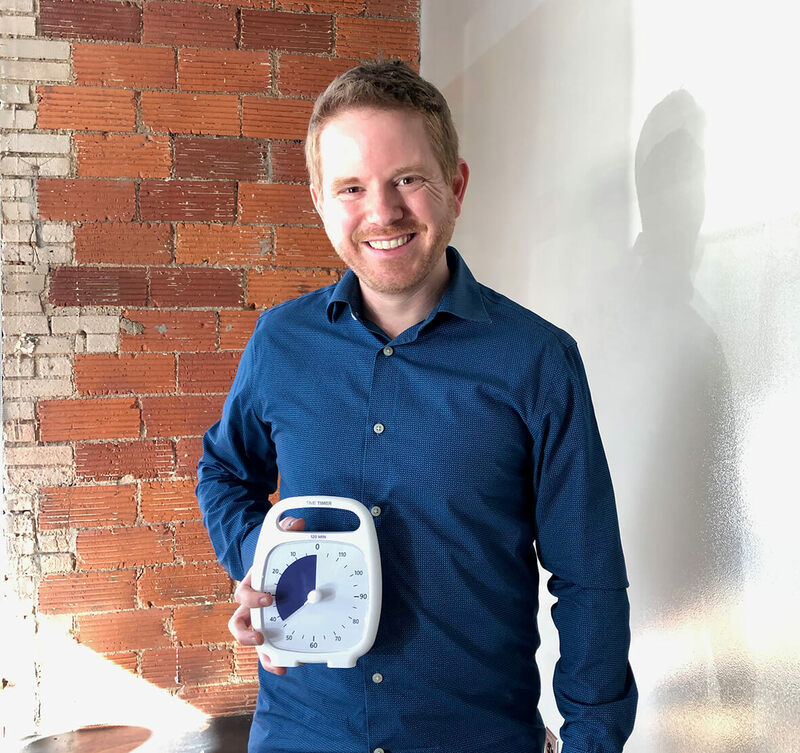 Recently, I implemented a simple tactic that we’ve found extremely valuable—I purchased a physical Time Timer, which is easy to find online. A Time Timer is a basic mechanical timer that shows how much time is remaining, and we’re using it to help focus our weekly internal meeting. I’ve found this simple timer valuable for a number of reasons. The timer is placed at the head of the conference table. When the meeting begins, we set the amount of time we want the meeting to run. Throughout the meeting, everyone can easily see how many minutes remain. No one needs to check the clock or look at their phone. Normal clocks count time forward. The Time Timer counts time backwards. This makes it ideal for tracking a meeting’s remaining time. When the Time Timer runs out of time, it has an audible beep. As soon as we hear that signal, either the meeting should conclude or the team should explicitly agree to extend the meeting. If the meeting is extended, more time is added to the Time Timer. Physically carrying the Time Timer to a meeting and setting it manually shows the group that you value their time and take the meeting seriously. The constraint of time is a great focusing element for the meeting. Pro Tip – If a meeting is scheduled for 30 or 60 minutes, I like to set the Time Timer to either 27 or 57 minutes. This three-minute difference gives participants a cushion for a quick meeting conclusion and assignment of next steps. There’s nothing worse than a productive meeting without clearly defined next steps.